Don't miss TCM's New Year's Eve Thin Man Marathon. What a great way to celebrate. 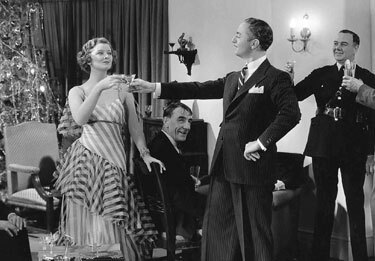 After the Thin Man takes place at New Year's Eve, so it's a double celebration. Grab a glass of bubbly and settle in for a great evening of top notch entertainment. Check your local listings. The schedule below if for information only. No links to buying anything. LOL! I remember watching one in past and loving it so we watched 3 and I really thought they were a tad silly. It was interesting to see actors in early roles, especially Jimmie Stewart as a villain.